You don’t have to be an environmentalist to see that the weather is getting warmer and more extreme—or to prepare your business for it. Just look at the oil and gas industry, where CEOs have been quietly readying their companies for decades, by building higher drilling platforms to accommodate more extreme storms and even rising sea levels. As a business owner, you know the importance of planning for every contingency, however remote. If you haven’t thought about how you’ll deal with hotter heat waves and warmer average temperatures throughout the summer, now is a great time to start. First, does your HVAC system have the power to handle the extremes that are part of this new reality? Temperatures that were rare when you installed your system may now be more common in your area. If your air conditioner struggles to keep up, that’s a problem. 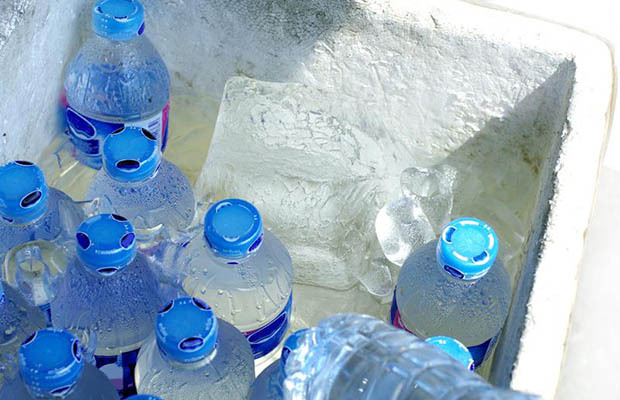 When the work environment is too hot, your employees’ health and safety is at risk. Studies have shown that their productivity also diminishes, and they make more errors. Large commercial ceiling fans can make a big difference. 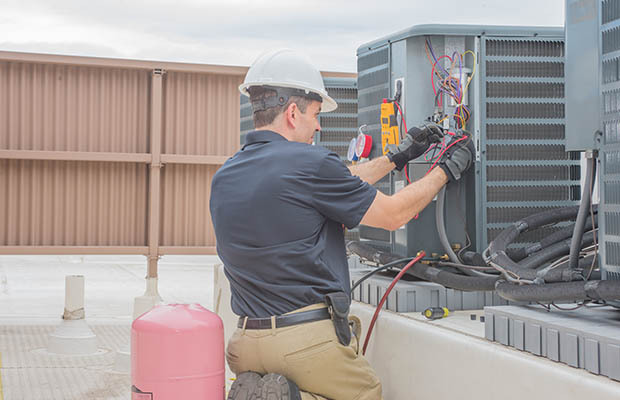 You can also use air circulators and other fans, portable air conditioners, and, in dry climates, evaporative coolers to improve working conditions. Ductless split systems (or mini-split systems) offer a permanent cooling system for individual spaces, without requiring ductwork. And if your HVAC system is showing its age, you can think about upgrading to something with more power. Get an overview on ventilation strategies that help keep your workplace cool. See in-depth guides to choosing centrifugal fans, exhaust fans, and rooftop ventilators. Is your HVAC system is as efficient as it should be? Of course, all things being equal, you’d love to cut your energy bill and use the most efficient equipment, but there are other things to think about. It costs money to upgrade, and the most efficient stuff is often costlier than more basic models. 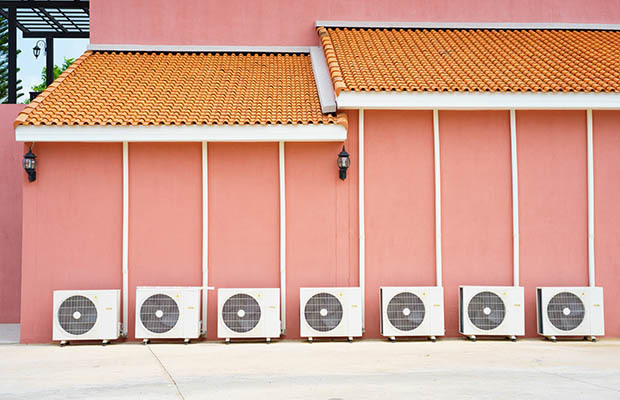 But hotter summers can change the calculation: Even a slight increase in average summer temperature can mean that you’re running your AC more often, which means higher bills—but also higher potential savings from more efficient equipment. 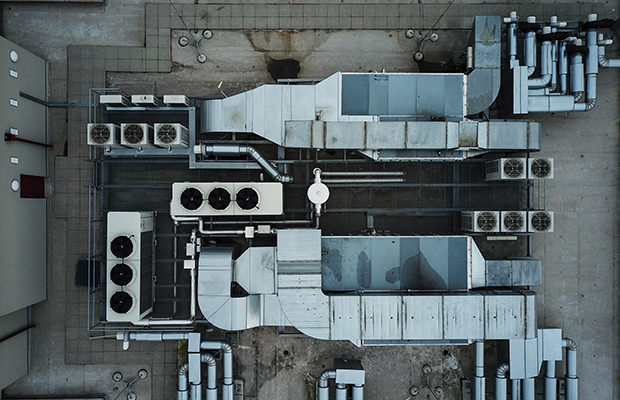 There are HVAC maintenance practices that can help you conserve energy, but there's a limit to how much you can achieve this way. If you’ve been planning an upgrade anyway, you may want to think about what kind of increase in usage would justify more efficient equipment. Or, if you’ve been trying to wring a few more years out of an aging system, it may be worth considering what the energy bill savings from a more efficient system might really look like in these hotter summers.